Official from Middle Eastern intelligence agency tells New York Times the Mossad was behind the death of Syrian scientist Aziz Asbar. A senior official from a Middle Eastern intelligence agency told The New York Times on Monday that the Israeli Mossad was behind the death of Syrian scientist Aziz Asbar, one of Syria’s most important rocket scientists who was killed by a car bomb on Saturday. Asbar reportedly had free access to the highest levels of the Syrian and Iranian governments, and his own security detail. He led a top-secret weapons-development unit called Sector 4 and was hard at work building an underground weapons factory to replace one destroyed by Israel last year, according to the newspaper. The senior official, who spoke on condition of anonymity, told The New York Times his agency had been informed about the operation. The attack took place in Masyaf, where Syria’s military research organization maintains one of its most important weapons-development facilities. In September of 2017, an advanced missiles factory in the research center was targeted in an air strike. The Syrian army claimed that Israel was responsible for the attack, but Israel did not comment on the reports, and has also not commented on Asbar’s death. The Middle Eastern intelligence official told the newspaper that the Mossad had been tracking Asbar for a long time. The Israelis believed that Asbar led the secret unit known as Sector 4 at the Syrian Scientific Studies and Research Center. He was said to have free access to the presidential palace in Damascus and had been collaborating with Maj. Gen. Qassim Suleimani, commander of Iran’s Quds Force, and other Iranians to begin production of precision-guided missiles in Syria by retrofitting heavy Syrian SM600 Tishreen rockets. An official from Syria and Iran’s alliance, speaking on the condition of anonymity because he was not authorized to talk to Western journalists, said he believed Israel had wanted to kill Asbar because of the prominent role he played in Syria’s missile program even before the current conflict broke out in 2011. Spokesmen for Prime Minister Binyamin Netanyahu and Defense Minister Avigdor Liberman did not respond to requests for comment. Earlier on Monday, the Hezbollah terrorist organization accused Israel of being responsible for Asbar’s death. The claim was made in the Lebanese newspaper Al-Akhbar, which is affiliated with the terrorist group. 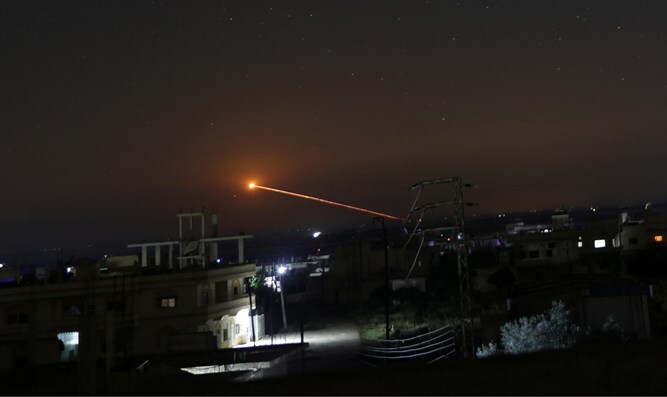 According to the report, the assassination is part of Israel's war aimed at preventing Syria and its allies from rehabilitating their military capabilities following the devastating Syrian civil war- with an emphasis on preventing the development of precision weapons.